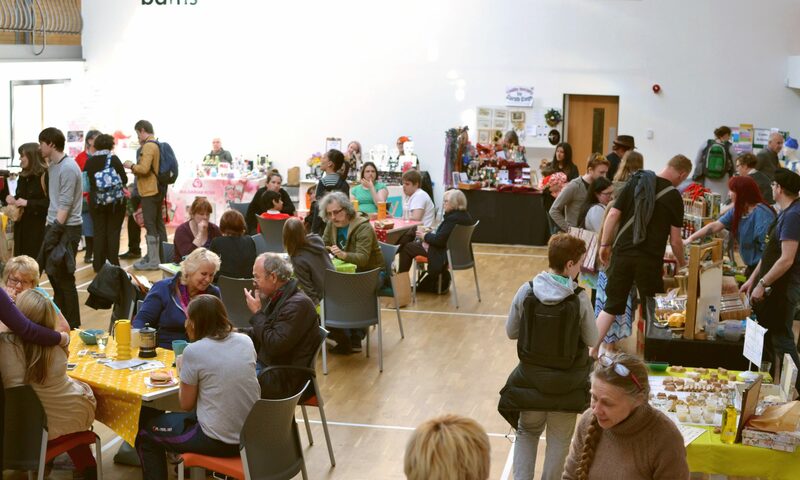 A monthly food & craft market in Stirchley, Birmingham. Hello! Our stallholders line up for the May market has been confirmed below. See you on Tuesday 3rd May 4-8pm, at the Stirchley Baths! Vegetropolis (organic veg), The Happy Gut Hut (kombucha), Stirchley Wines and Spirits, There Goes (formerly known as Early Birds Coffee), Olivar Caicunes (*new to the market* olive oil), PachaPuro (soaps), Pip’s Hot Sauce, Kneals Chocolates and Loaf Community Bakery. Hot dinner! Cafe Horchata, Vegan Grindhouse and on-site café, Change Kitchen. Isherwood & Co (cut flowers and house plants), Eats and Leaves (garden/allotment plants), Working Clasp Jewellery (lasercut jewellery), Susan Kruse (*new to the market* hand crafted dolls), Photo Digital Art, Textile Designs by Sarah, Bunny Street (textiles), Creative Stitches and Trankvila Holistics. And returning to May’s market is the Drop and Swap, bring your old unwanted (clean and wearable!) clothes to swap for something new to you. Stirchley Baths will also have a stall where you can find out more about what’s going on at the centre.